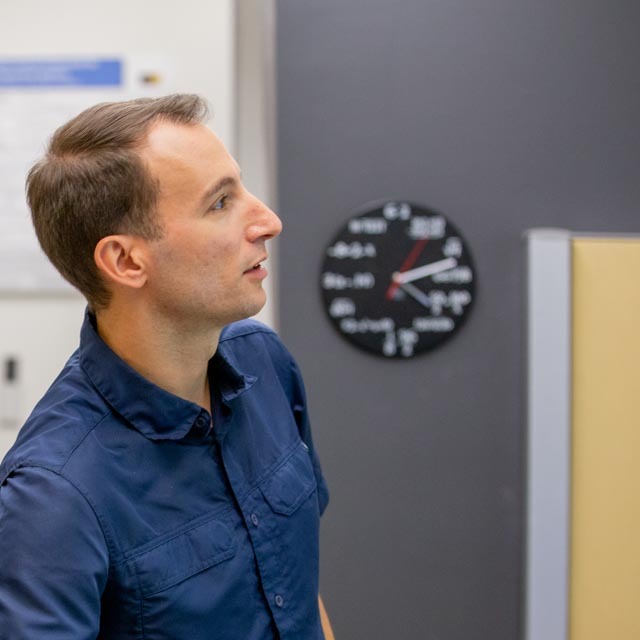 Flying an autonomous vehicle through unfamiliar terrain demands better, more reliable, algorithms; UCSC Engineer Ricardo Sanfelice aims to deliver them. The US Air Force Office of Scientific Research has awarded Professor Ricardo Sanfelice, Department of Electrical and Computer Engineering, a three-year, $450,000 grant to develop tools for creating hybrid dynamical systems that require neither the discretization of the dynamics or state space, nor the computation of solutions. One of the primary applications for his research work will be in the creation of autonomous systems that are agile, reliable, and resilient. Designing an algorithm capable of avoiding obstacles and adversarial elements in an uncertain environment, while taking into account the physics of flight and combat, and the networks sustaining, them requires modelling systems that can both jump and flow: a hybrid system. Traditionally hybrid systems are extremely complicated to design, and usually rely on discretization or other methods which can’t always meet specifications. By exploring approaches such as imposing mild properties on the data defining the system and solution-independent certificates; creating flow maps and jump sets, Sanfelice’s work aims to develop new tools for a broad class of hybrid dynamical systems. Professor Ricardo Sanfelice directs the Cyber-Physical Systems Research Center @CPSRC_UCSC and the Hybrid Systems Lab. He is also an avid runner and surfer.